Intense typhoons, like 2013's Super Typhoon Haiyan, are classified based on high wind speeds, often of 130 mph or more. Typhoon Haiyan was one of the strongest tropical cyclones ever recorded, and scientists have noticed an increase in the proportion of intense typhoons occurring each season in the Pacific Ocean since the 1980s but have not been able to explain why. A new study published in Earth's Future, a journal of the American Geophysical Union, finds the ocean mixed layer deepened along tropical cyclone tracks by 1.7–2.0 meters from 2002-2015, while other factors changed only marginally. The authors conclude this deepening could be responsible for the uptick in intense typhoons from 1980 to 2015, and they project the increase of intense typhoons will continue at a greater rate than previously projected in the coming decades. "In the context of global warming, it's important to know how the ocean responds to global warming, which factors contribute, and how that changes the structure of the ocean," said Liguang Wu, lead author of the study and professor at Nanjing University of Information Science and Technology in Nanjing, China. "We need to be aware of how conditions are changing around us in order to prepare." 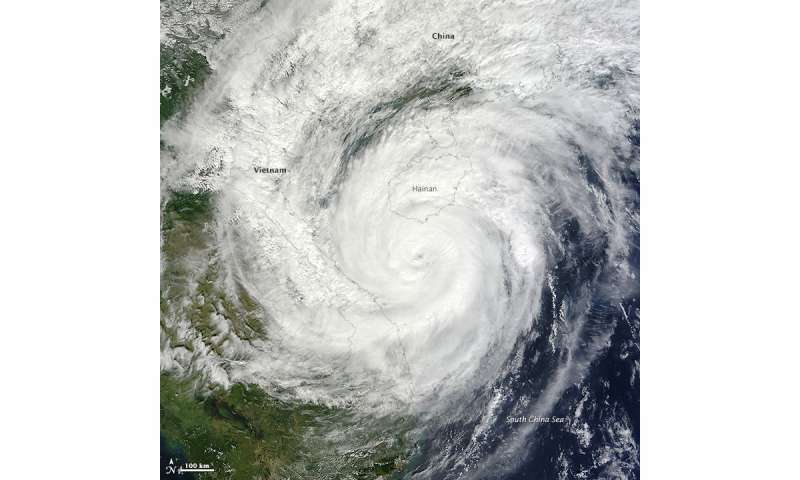 "Previous studies have focused mainly on the role of sea surface temperature in changing typhoon intensity," Wu said. "But they did not account for ocean mixed layer depth as we have, which is why we think that those projections might have underestimated the increase in typhoon intensity." Another climate article that "could be" full of chit. Or it "Could be" more likely to occur. Given science's track records, I would choose the later. ie; more likely to occur. well, the old_coot continues to "chit" all over the internet. It's why he refuses to let the orderlys change his diapers and clean him up. Smearing the feces of primitive religions all over a public forum is his fetish. There is no increase in typhoon activity since 1950. In fact available data shows small decrease in activity, by number of major typhoons, by days when major typhoons were active, and by total season ACE. I've said before that most raw data is meaningless without making the appropriate adjustments, and this is true of the JTWC data you used at Colorado State. You should at least have clicked on the "Data Quality" tab to get an idea of some of the problems with the data. In actual fact, there's been an increase in typhoon intensity in both the western North Pacific and the North Atlantic and it correlates very closely to the SST in those areas (http://www.atmose...anes.pdf ). That paper also details why the raw data isn't useful in the supplementary information (https://www.natur...ure03906 ). I'd prefer that the paper used power dissipation which includes the area of the storm, but it seems the cube of max velocity correlates in some way to the monetary loss due to the storm. As we've seen recently, storms are getting larger and that's directly related to the increase in SST and OHC (https://agupubs.o...EF000825 ). The Dvorak technique is the primary technique currently used today to estimate tropical cyclone intensity from satellite imagery. 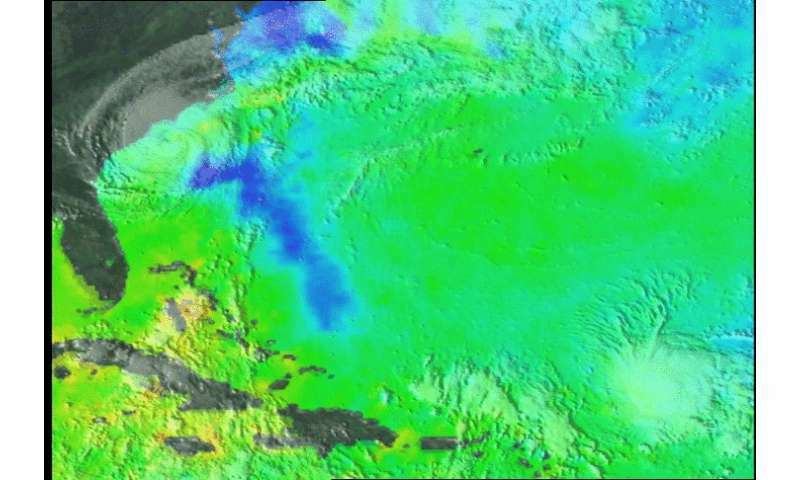 This technique was first initiated in 1972; however, the quality of satellite data in the 1970s through the mid-1980s likely led to significant underestimates in intensity, especially for the most intense systems. so, if anything, it underestimates for that period. Of course, ACE is just a rough estimate, and integrating windfield over entire surface area would be better, but other stats have similar trendlines. The increasing activity trend is present in the North Atlantic, though. Yes, but only for the period of 70s to mid-80s. Looking at Emanuel's paper, even a significant increase in PDI for those periods doesn't markedly change the results: Warmer ocean temperatures lead to more severe typhoons. As the increasing intensities compensate for the loss of ACT by decreasing number of TCs, the ACT remains largely unchanged. PDI improves on that a bit because of the cube of max velocity, but I'd still prefer to see the area included. ACE/ACT and PDI don't include the storm area increase that seems to have occurred recently.